We are perceived as driving maker and provider of an extensive variety of 3M Road Studs which are fabricated utilizing quality crude material and according to universal quality standard. These street studs are exceedingly refreshing for their sturdiness and potential execution. Offered street studs can be benefited from us by our significant customers at focused market rates. 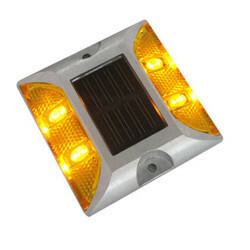 Enriched with vast industrial experience, we have been able to offer our clients Traffic Road Stud. Widely used on highways; these road studs gives high visibility and provides an advance warning of the road condition, thereby, reducing the risk of road accidents. These are easy to install, weather-resistant, and highly durable. Product DescriptionReflective Road Stud provided with effective lane delineation particularly during the hours of darkness and in adverse weather conditions thus giving protection from accidents. 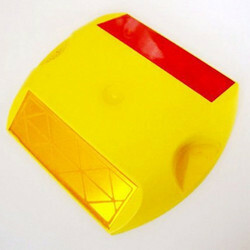 The plastic road stud is a bright extremely hard wearing damage resistant road stud and easy to install. It has high compressive strength which leads to less failure. It is highly durable with low life cycle cost. Meets and exceeds ASTM & MoRT&H performance standards.